Legacy Ridge Golf Club has a very beautiful Stanley Thompson design which has a lot of traditional character to it. This course over looks over Georgian Bay and was established in 1920. Legacy Ridge prime time rate is $65 which does not include range or a cart. This price range falls into the A rating category. The difficulty for this course was fair. The are definately a few holes that were challenging and a few that were easy. 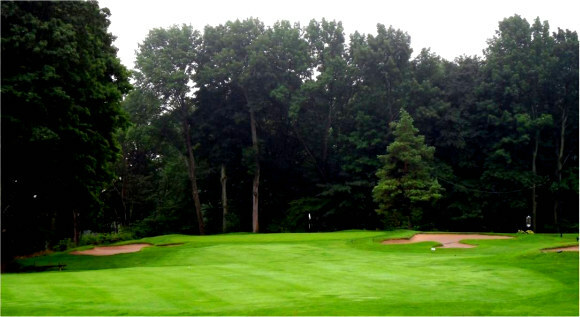 The wet conditions made the course play longer although I don't think the course would play short in dry conditions. A "B" rating is right for this course. 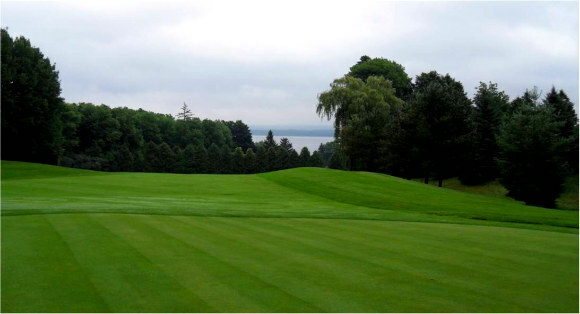 There are a lot of nice looking holes on this couse with so many mature trees and the Georgian Bay background. The course had a great traditional feel to it using a lot of tree lined fairways and undulating and contoured fairways a mix of water, elevation and some sand could be found as well. This course is deserving of an "A" rating for scenery. The green conditions were pretty good and with so much rain they drained really well. They were smooth and true. The ball rolled pretty well despite the wet conditions. I have to give the greens an A rating as they were is decent condition. Fairway conditions were very good. They may be were a little long and soft due to the rain but the drainage was pretty good. I think an A rating for these fairways is appropriate. The clubhouse has full facilities and sports a cottage type look to it but the look is definately fresher than some of the old club houses I've seen lately. I think an A rating is right. The layout was a little choppy for this course at times. To get from the 9th hole to the 10th hole you had to cut across two fairways literally when people are playing. 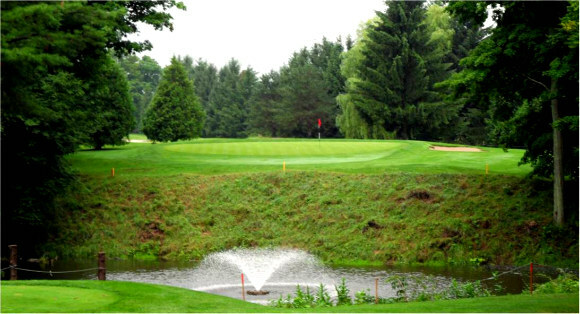 All in all the front nine holes were terrifically carved into the land with very subtle challenges such as the uneven terrain on the left side of the first hole fairway and doglegging on the 6th and 7th holes. The course rating for this area is a high B as some holes definately were forced in. 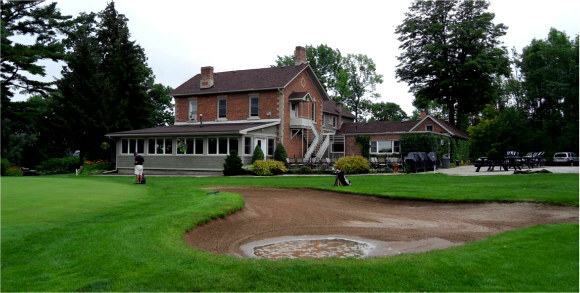 Legacy Ridge Golf Club is found in Owen Sound Ontario. Return HOME from Legacy Ridge Golf Club.